Technology is finally high on the CEO agenda at Davos. This year’s theme, Globalization 4.0., was heavily peppered with conversations about digital technology and how it’s currently reshaping major multinationals’ operating models. In such a world, the supply chain has to reshape business models to survive, then flourish. In a short space of time there has been a paradigm shift. As recently as five years ago tech was stuck in the realm of engineers, and not a concern for the overall organisation. But in 2016 the World Economic Forum’s Annual Meeting focused on the fourth industrial revolution, something that has underpinned all subsequent meetings. Artificial Intelligence (AI) was one of the most discussed themes this year, with more sessions on AI than any other topic. Discussions ranged from job displacement to the increasingly complex conversation around AI ethics. There is still a dystopian narrative that needs to be dispelled. 49% of CEOs polled during the annual meeting thought AI would displace more jobs than it will create. The evidence is far more positive. Countries such as Germany with the highest concentration of robots in the workforce, also have the highest rates of employment. Staff retention for repetitive, manual processes is consistently low with an obvious impact on productivity. The marriage of man and machine in the workplace will only serve to release people from repetitive tasks and processes to focus on what humans do best – creative thinking. In this – we are unmatched by any machine. AI has been improving our lives since the 1950s, and contrary to popular belief, I passionately believe that it will continue to do so in ever more meaningful ways. I’ll worry a lot less when AI helps vehicles on the road drive as safely as possible. When it comes to the future of work and employability, we need to adjust our thinking. It’s more likely that future generations will have two or three different career paths in their lifetimes as they adapt to the changing landscape. This cultural change will seem less daunting to the next generation. I am particularly interested by changes to our approach to education with open education initiatives such as EdX signalling an important commitment to lifelong learning. There was an interesting debate at the meeting across many forums, around a reality that will change the narrative for technology. Purpose. Breakthroughs in recent years have proven how technology developers have become strategic in the pursuit of sustainability objectives. Disruptive technology without the pursuit of a true purpose has led to many a planet-wide fiasco over the past decade. The misuse of the Copula formula in financial risk management and the unintended consequences of social media are but two examples. But true purpose-driven tech development? That’s something really powerful. And mitigating the effects of climate change is arguably the most important purpose of our time. Following on from the direction that was set at the 2016 Annual Meeting, climate change was unsurprisingly a dominating theme again this year. Purpose-driven tech development has taken us to a position where the energy transition is a reality. The tools we need either exist, or are in development. One of the critical challenges is to make sure that scale-up is achievable. The complex network of technology needed to usher the transition to low carbon sources needs to be capable of scaling-up to align with the planet’s needs. One of the most prominent examples of this is large-scale and long-term energy storage. While sources like bioenergy, hydropower and onshore wind cannot easily be scaled up to mega-scale power generation. In terms of design and physical size, wind turbine blades (weighing up to 30 tons each – the same as a humpback whale) have been developed with technology that’s often decades old. The weight is an important factor in driving up the cost of the asset, and in turn the cost to consumers. Compare this to an optimized asset like a F35 fighter jet, which is two and a half times lighter than one blade. The defining difference? The F35 is an example of non-incremental development. When scaled up, wind turbines encounter additional costs which will be a barrier to their optimisation. We still need new technology to bring offshore wind down from the current 8c/kWh LCOE (Levelized Cost of Electricity) which is viewed as realistic today. This highlights the need for proper governance. Capital, policy and regulation to support the further development of clean energy technologies and their mass deployment. Trade systems need to account for externalities and governments need to make sure that these kind of frameworks are replicated on a global scale. All of which were big topics in Davos this year. 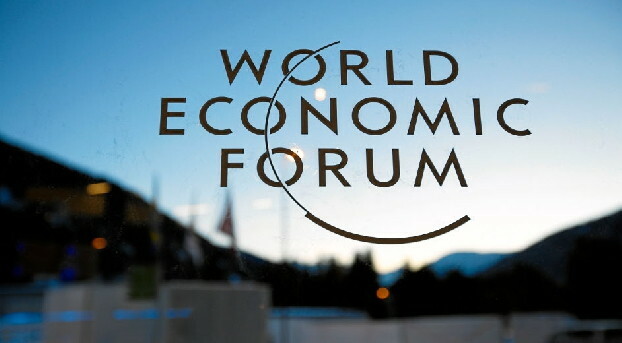 The World Economic Forum talks about Sprint 2020. The objective is to achieve immediate action on sustainable development whilst also tackling the climate agenda. We will only make serious progress if the business community, civil society, academia and government make it a priority in board level discussions. New technology is critical to our collective success. I wonder how your organisation can help to deliver innovative solutions in the next two years?